It’s been a tale of two seasons for the Cowboys’ signal-caller. With Amari Cooper, Prescott and the ‘Boys offense has turned a massive corner. In six games, Dak is averaging 24.9 fantasy points per game after putting up 19.8 PPG in Weeks 1-8 without Cooper. 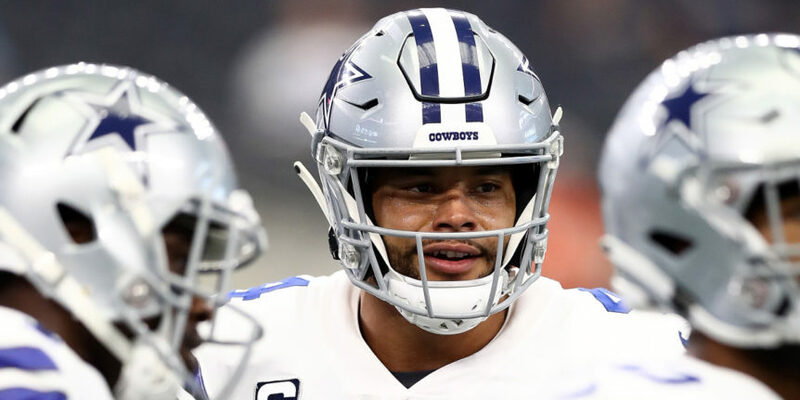 Additionally, Prescott’s YPA has spiked by 1.2 yards with Cooper, while his 74 percent completion rate in this span is best in the NFL. Prescott has become an auto-QB1 fantasy play in this suddenly high-upside attack. Plus, over the full year, the Colts have allowed the ninth-highest passer rating (97.6) and the second-highest completion rate (72 percent). Since the Browns traded Carlos Hyde, rookie runner Nick Chubb has been one of the most valuable players in fantasy football. Since Week 7, Chubb is among the top-five running backs in carries (128), team share of rush attempts (78 percent), yards after contact (3.8), and PPR fantasy points per game (19.6; RB5). In this span, Chubb has finished as a top-20 fantasy scorer in 6-of-7 games and has compiled five top-12 (RB1) weeks. Now, Chubb does have a tough Week 15 draw on the road against a Denver defense that has allowed just 3.5 YPC over the last six weeks (fifth-lowest). Still, this is no time to get cute. You have to roll with Chubb. Godwin flopped hard last week, as he caught just one of his 10 targets and, despite the volume, it’s hard to trust him against Baltimore. Over the full season, the Ravens have allowed 1.15 fantasy points per target to receivers, by far the lowest clip in the NFL. For context, Dallas has allowed the second-fewest points per target to wideouts at 1.40. Prior to Tyreek Hill’s 8/139 explosion last week, Baltimore had not allowed more than 80 yards to a single receiver since Week 2. Essentially without Greg Olsen (foot) for the last two weeks, Ian Thomas has seen 15 targets and turned them into a reasonable 13/114 receiving line. Now, Thomas’ ceiling will remain low until his 4.5 air yards per target rises, but we have to be sold on a full-time tight end drawing targets. Over the last two weeks, Thomas has played on 80 percent of Panthers snaps and ran a pass route on 78 percent of Cam Newton’s dropbacks. New Orleans has allowed the second-fewest fantasy points per target to tight ends, but opportunity is the name of the game at a destitute position.